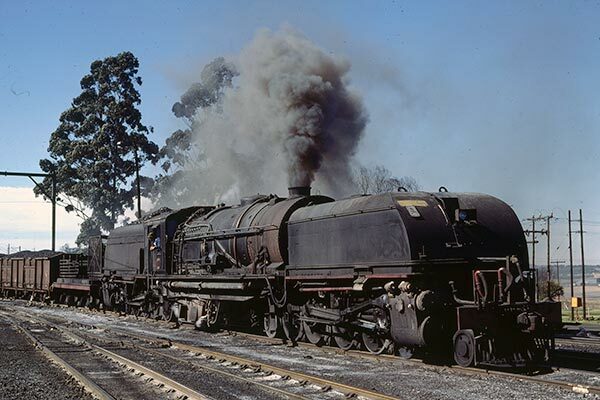 Caption - Ex-South African Railways (SAR) GEA class Garratt 4020 at Boomlager on the Enyati Railway (Natal) hauling a block train of coal in May 1981. The vehicle behind the tender was home-made and carried a compressor for the air-braked wagons. The whole contraption was mounted on the chassis of an old tender! This was I believe the last place to see these wonderful engines in service after their withdrawal from main-line service.